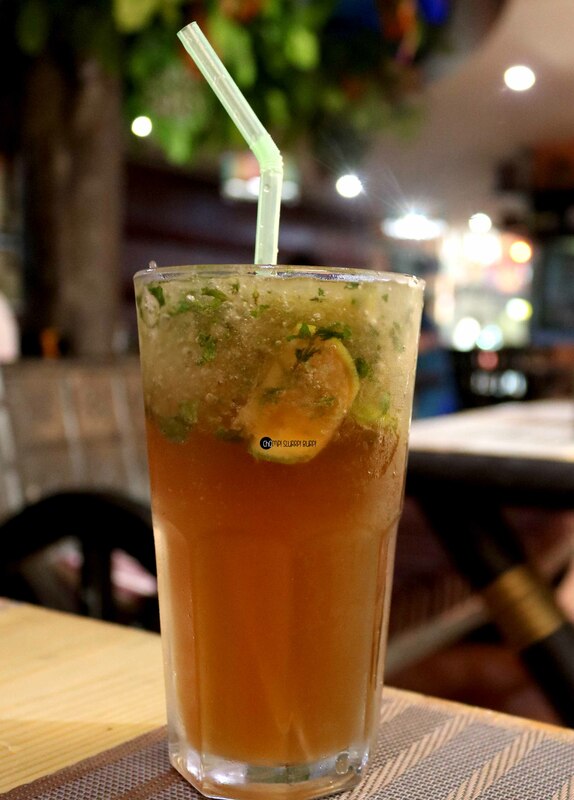 Revisit Olden Times with Pind Baluchi - CHOMP! SLURRP! BURP! 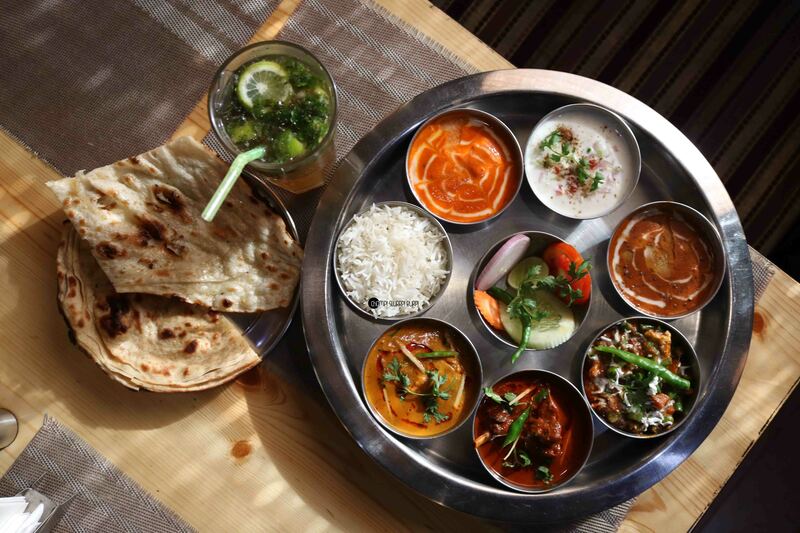 Pind Baluchi is a well known name in the Indian Space for typical North Indian Food, family dinner plans are always made always considering this restaurant chain which has outlets all over Delhi NCR. I happened to try Pind Baluchi in Mahagun Mall,Vaishali after staying over at a friend’s house. It was a weekday afternoon so the place was quite empty and thus my friend noticed how big it is,they have a huge outdoor space that is well that’s separated out from the indoor one, which can actually turn out to be a great place for a family party. Coming to the food,We ordered Chilli Fish at first! 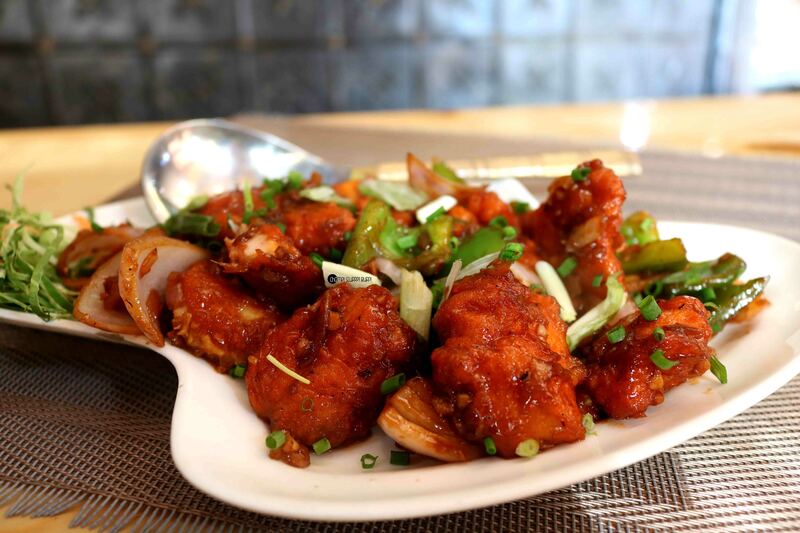 The soft delectable fish tossed in sweet and spicy gravy was totally drool worthy.This is a must thing to have here. I have heard that all their fish preparations are amazing, so don’t think twice before ordering fish.We ordered 2 pieces of Tikkas as well, Marinated perfectly as the flavors were seated right to the bone but slightly undercooked. 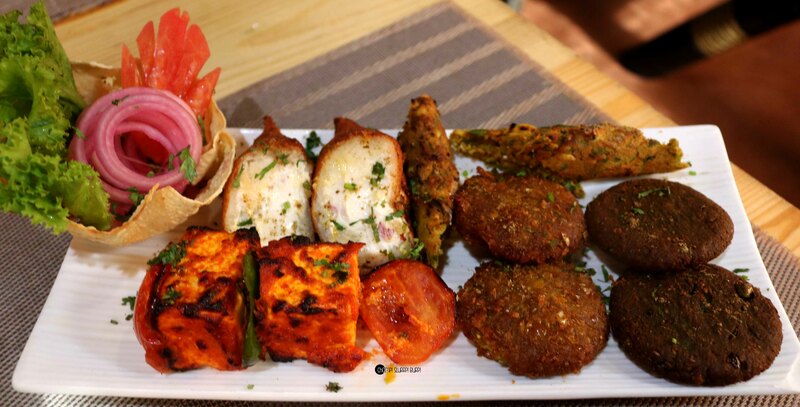 Then was the turn of the Vegetarian Platter, 2 pieces each of Paneer Tikka, Corn Makkai Seekh, Dhai ke Sholey,Hara Bhara Kebab and Dal and Makkai Kebeb. 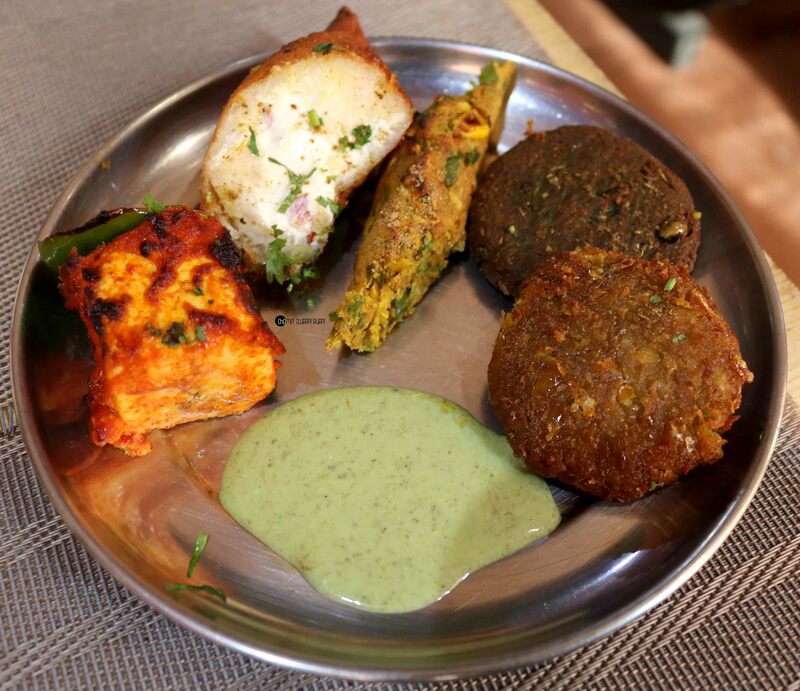 The Paneer Tikka and the Hara Bhara Kebab were the winners here, the Corn Makkai seekh and the kebab both were a bit dry but after pairing it with the delectable green chutney, instant hit. The crispy outer coating and the soft inside was loved. Dhai ke Sholey, yes they are written as dahi ke kebab but are actually those Sholey in which Dahi is stuffed inside a bread and deep fried. A good preparation if you do love eating typical Punjabi Flavors. Paneer Tikka was actually really good, huge chunks and well marinated. I am not surprised I loved every marination so much because the it’s the essence of the Tikka’s! We ordered a Mohito as well, it was quite disappointing from the presentation to the flavors, nothing was spot on, So drinks can be a risk here. The aesthetic appeal was so drool worthy and you could totally fall in love. Keeping aside the Breads and Rice, my Thali consisted of Dhaba Meat, Paneer,Mix Veg, Dhaniya Adraki Chicken and Dal Makhini. 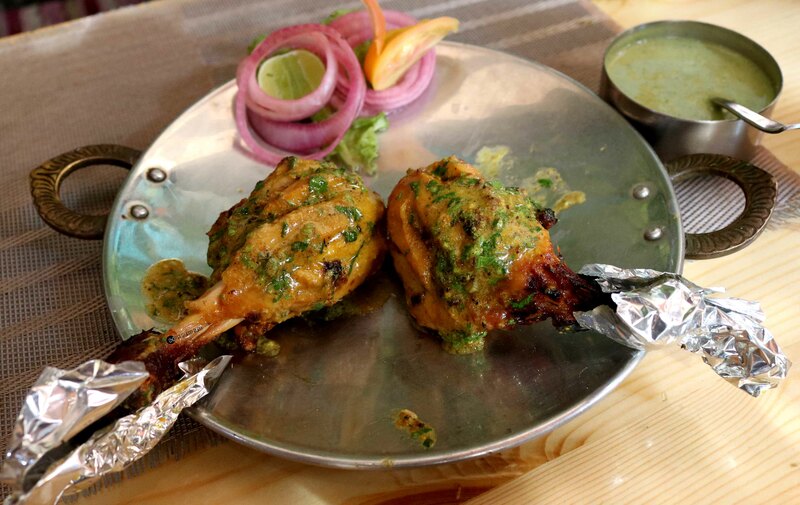 Dhaba Meat is their version of Mutton curry, and you cannot afford to skip this. The mutton is not so tough and comes off the bone easy, slightly spicy gravy complementing it well!Mixed Veg, Vegetables and small pieces of paneer cooked intricately so that it maintains the colors. A good try for all the vegtarians. Dhaniya Murg Curry, while the chicken was cooked perfectly, the taste of Adrak was overpowering the mild taste of Dhaniya, We even called our server to confirm whether it’s Dhaniya Adraki or just Dhaniya. But I never have a problem with Adrak flavors so even thought slightly overpowering, it was a good preparation. The Dal also deserves a special mention, perfect consistency, really creamy and well balanced taste. The cream wasn’t overpowering it at all. We were so bloated that we gave the desserts a miss but this place definitely has food which is actually worth living upto it’s name. 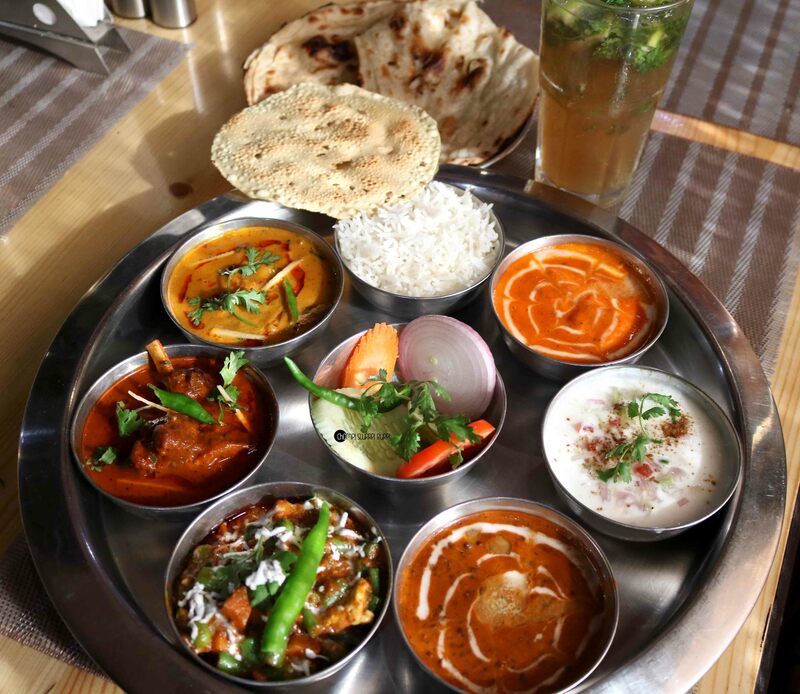 A must try Dhaba Meat,Dal Makhini, Fish and Tikka Starters! Do grab a bite of the Gur in the end as it’s customary to end your meal with it!